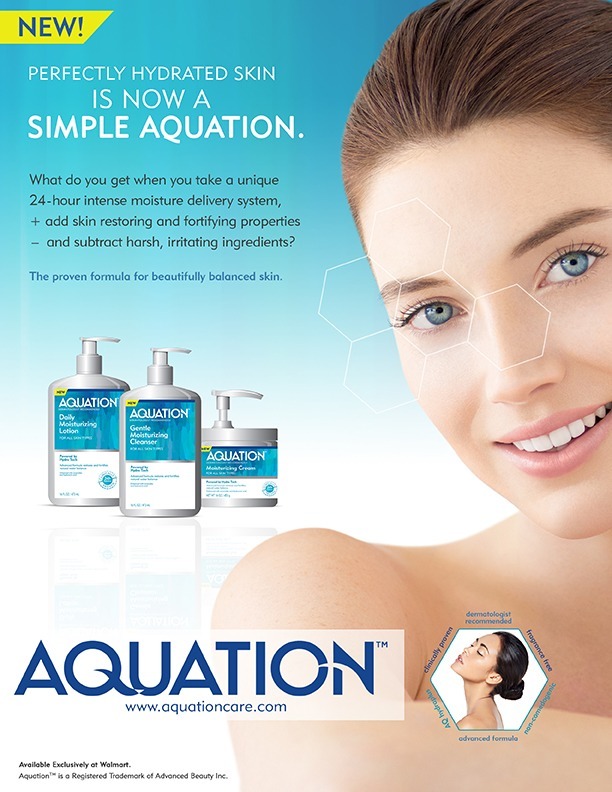 Aquation is being brought to market by Dallas-based AB Brands (formerly Advanced Beauty Inc.), whose founder built and sold leading personal care brands Dr. Teal’s, Cantu and Bodycology. 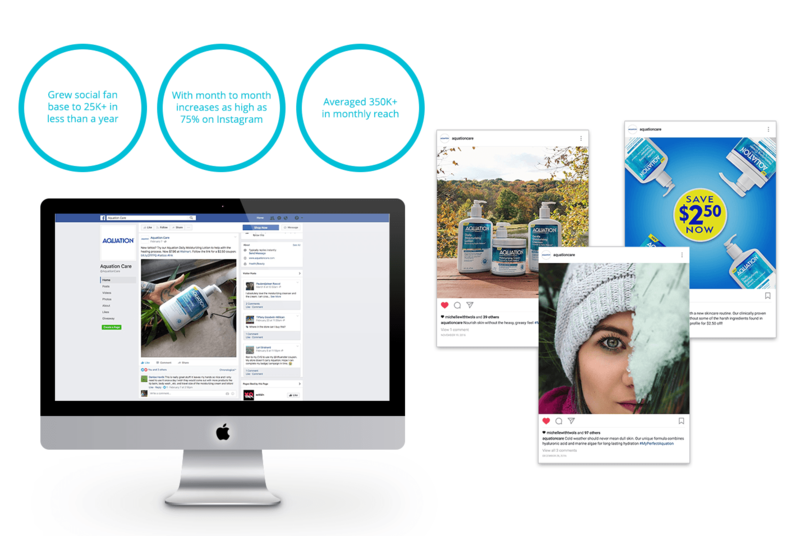 Leverage our strong skincare experience to shape the brand concept, develop consumer and professional go-to-market plans, and launch and support new mass-market clinically proven skincare brand Aquation. To establish an overarching creative look and feel across the entire brand journey. 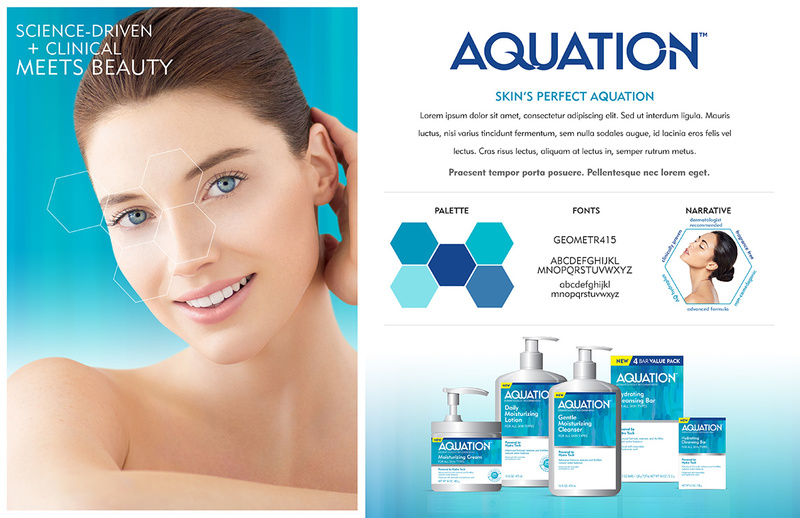 Our Simple Aquation campaign spoke to consumers and dermatologists across design (website, video, collateral), advertising and social media. We architected, designed and built Aquation’s new responsive website and mobile experience. Supporting doctors with in-office brochures and videos, as well as AAD tradeshow. 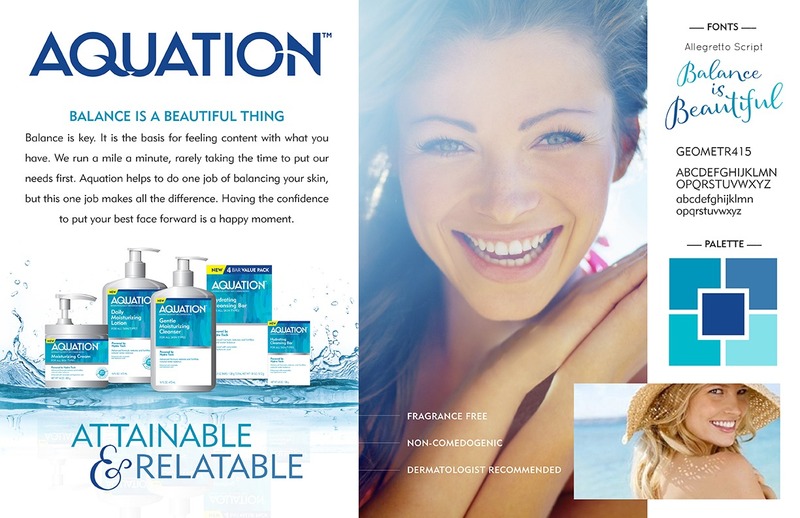 Six months from our start date, Aquation was introduced to press, bloggers and vloggers at a launch event in NYC. 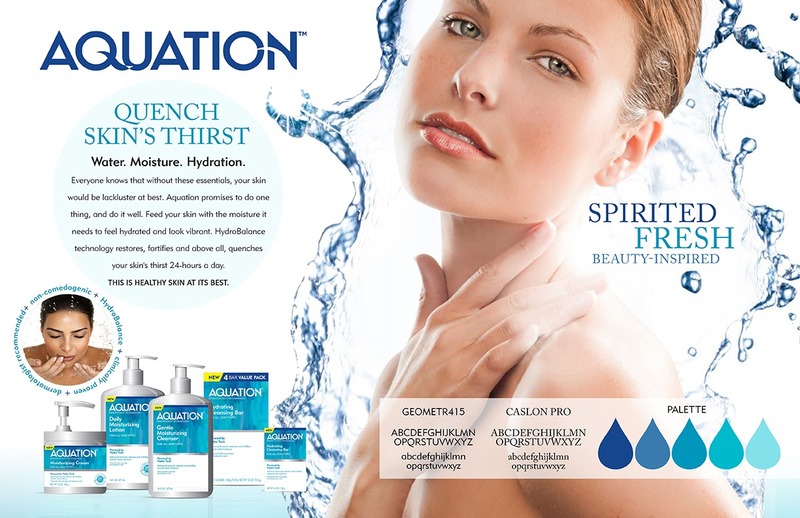 At the same time, all Aquation sku’s hit the shelves in Walmart stores and are listed on Walmart.com.